Brand new, free and super easy to use baby sleep monitor which works on your mobile phone and tablet. 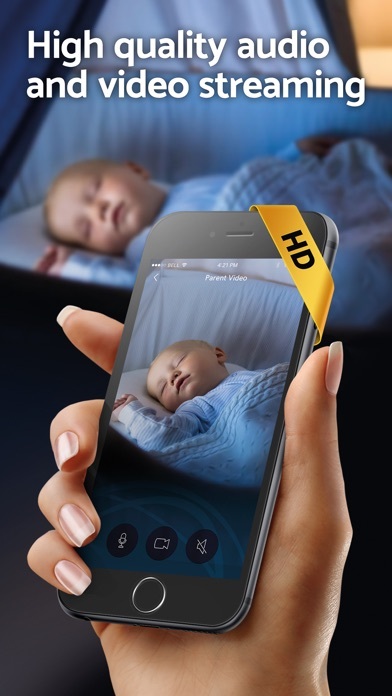 All you need is Baby Cam - Baby Sleep Monitor and two devices – a parental and a child unit. Leave babysitting on the machine! 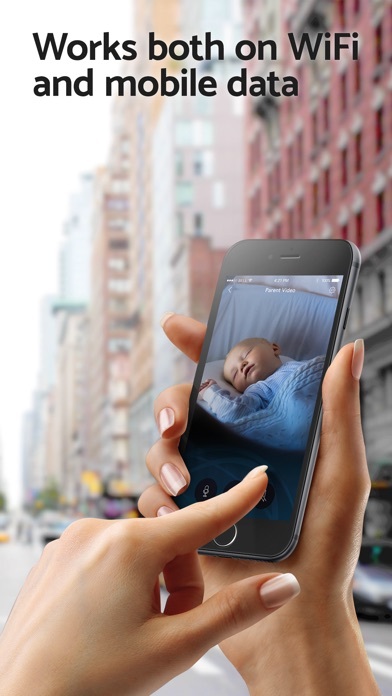 Use your phone or tablet as a child unit (your camera and microphone), place it near to your sleeping baby and use your second device as a monitoring unit. The connection of the devices is super-fast and easy. 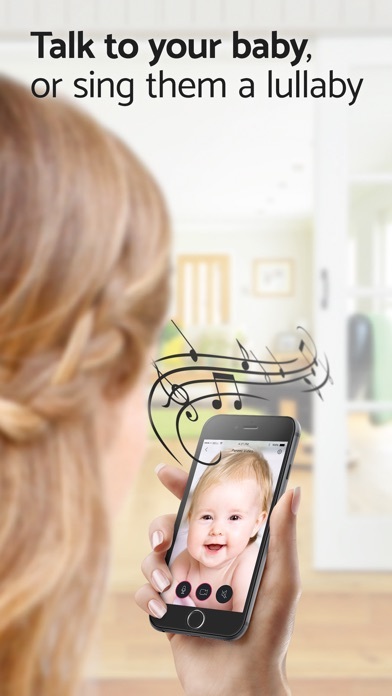 Parent app (monitor) is still running in the background so you can hear your baby anytime. Don't worry, if the connection is interrupted (Wifi can be clumsy), we will notify you - since we use the cloud for notifications. 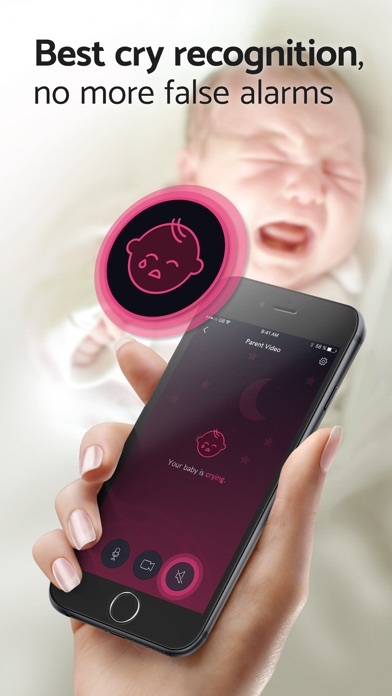 The app can even detect your baby’s cry and you can also try to soothe your little one by your voice because he can perfectly hear you. If any noise is detected, there are push notifications on your parental unit. When you click, you can see baby monitor cam live along with crispy audio. The child unit goes into sleep mode within few seconds after being placed near to your baby so it doesn’t disturb him at all (lights, sounds...). Just be sure that child unit is connected to power source. 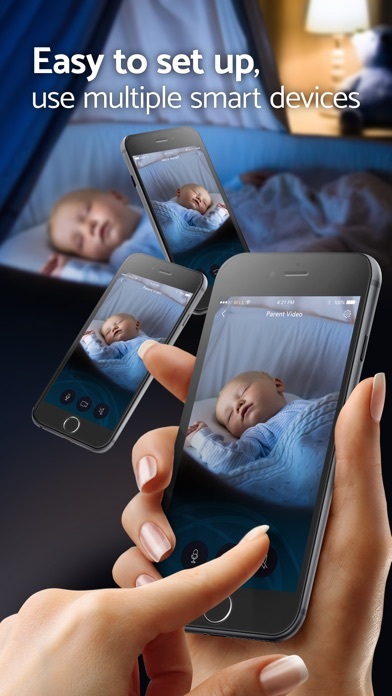 Baby Cam - Baby Sleep Monitor always keeps you in touch with your babies just by one glance at your phone ‘s display.